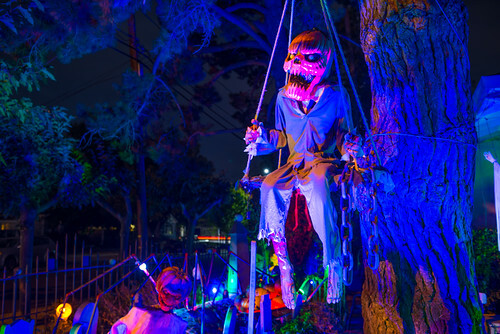 The crazy lights on this scary pumpkin head are enough to make you jump as you walk by. This was taken last year at the No Mercy Cemetery in Mountain View, as the No Mercy is no more. The people that put it on moved away so there weren’t any decorations on the lawn this year, but the previous years made it worth doing one more tribute.